The holiday season is upon us so let's eat, drink and be merry while supporting the fantastic artisans, bakers and restaurateurs that make up this incredible city. We've compiled a local food and drink gift guide for just about any New Yorker on your list. Happy Shopping! This is the one gift that isn't actually from NYC. It's made in the birthplace of vodka Cherkasy, Ukraine, but we love their mission statement so much we're adopting it. "Budmo" is a traditional Ukraine toast which translates to "Just Be". That is the foundation behind Zirkova; that every human being is a unique and important part of this beautiful tapestry we call life and we should celebrate each other. Zirkova showcases this commitment through their vodkas One+Together. One is a vodka meant for sipping; it has a long, smooth velvet finish perfect for enjoying on its own. Together is meant to be enjoyed in cocktails. Its distilled four times, using only center cut spirits to give it a round balanced finesse that enhances the other flavors in mixed drinks. The vodkas are both wonderful and the gorgeous bottles and warm message are sure to tug at the heart strings and make someone smile. One+Together - I don't think you need to be a humanitarian to get behind this delicious message. For the loved ones in your life who need a good cup of Joe before facing those subway platforms in the morning there's the Birch Coffee Gift Box. Each set contains a coffee machine and pre-ground beans that have been hand roasted in their Long Island City roasting plant. Birch will pick the beans best suited for the method of brewing preferred, be it French Press, Chemex or Pourover. The only thing needed to add is water. It's the complete caffeine gift package. Space is always at a premium in NYC apartments; there's no room for hoarding things like sauces and spices. 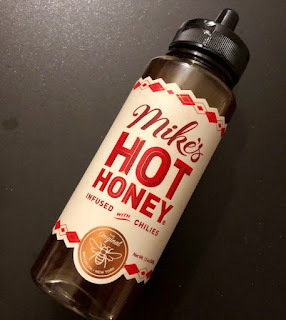 In fact we suggest only three staples (outside of salt and pepper)- Trader Joe's Everything Bagel Seasoning, Franks Red Hot Sauce and of course the most important of all Mike's Hot Honey. This chili infused honey may be the best condiment ever created. It's both sweet and spicy making it the perfect topping for anything from roasted brussels sprouts with bacon, to fried chicken and my absolute favorite, drizzled on a slice of pepperoni pizza. It was created by Brooklyn local Michael Krutz making it the ultimate NYC gift. Mike's can be ordered online or found in gourmet shops around the city like Malt and Mold. Gift card giving around food and drink can be challenging. Tastes change, restaurants close, people suddenly decide to become vegan. 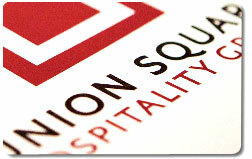 It's always a hit or miss gift except when choosing a gift card from Union Square Hospitality; the card that can be used at almost all of Danny Meyers incredible restaurants. This includes BBQ at Blue Smoke, pizza at Marta, museum dining at Untitled & MOMA, his two legendary restaurants Gramercy Tavern and Union Square Cafe and even his Chicago restaurant Greenriver for those travelers in your life. It's easily ordered online and can be given either digitally or as a plastic card. This gift is a no brainier- I honestly wish I got this for every special occasion in my life. It's not uncommon to see a long line of people on the sidewalks of NYC waiting patiently for to purchase a few bottles of limited beer. 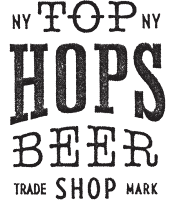 Yes the beer craze is real folks, so why not make it a bit easier for that crazy beer geek in your life with a membership to the Top Hops Beer Guild. 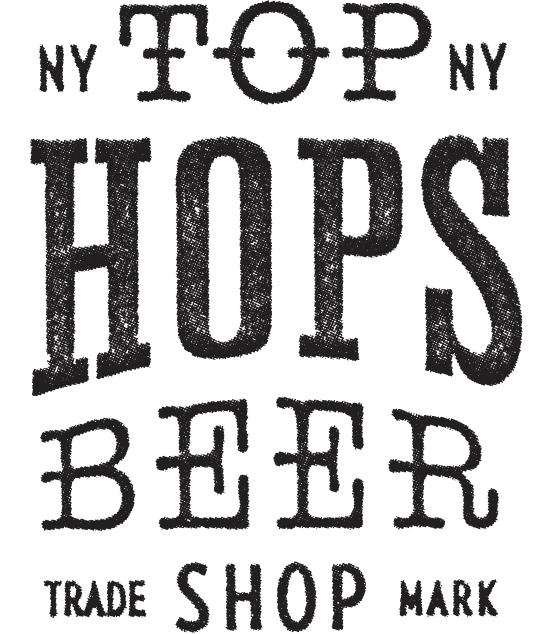 The $100 membership includes preferential access to rare beers, a members only party, an annual Beer Road trip and a 10% discount on all purchases including Top Hops fantastic beer classes, that cover everything from stouts and Belgian ales to classic beer and cheese pairings. No holiday celebration is ever complete without a delicious cinnamon swirled babka from Greens Bakery. The bread is light and airy with deep swirls of cinnamon and big sugar crystals scattered about giving it a nice satisfying crunch. It's flaky, sweet and absolutely delicious toasted with a spread of butter. "Cinnamon takes a back seat to no Babka. People love cinnamon. It should be on tables at restaurants along with salt and pepper. Anytime anyone says, "Oh this is so good. What's in it?" The answer invariably comes back, Cinnamon. Cinnamon. Again and again. Lesser Babka - I think not." So there you go. Available in stores throughout the city.